We are in week two of the ORC (catch up on week 1 here) and things are moving along. Today is prep day, the dreaded part of any makeover. If I had a magic wand I would totally skip this part and go right to the fun part of decorating! I have to remind myself that to get to the pretty you have to fix the ugly, so I better get started with this makeover, because week 6 will be here before I know it. 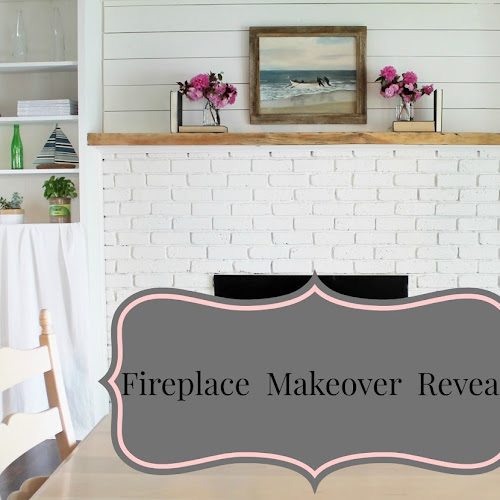 I partnered with my husband on this makeover! We decided to keep the paneling and paint over it because I think it will give the bedroom a farmhouse feel. We started by pulling all of the nails and cup hooks out of the wall and ceiling. Then I scrubbed the paneling with soap and water. Next, we spackled all of the holes. Whew! 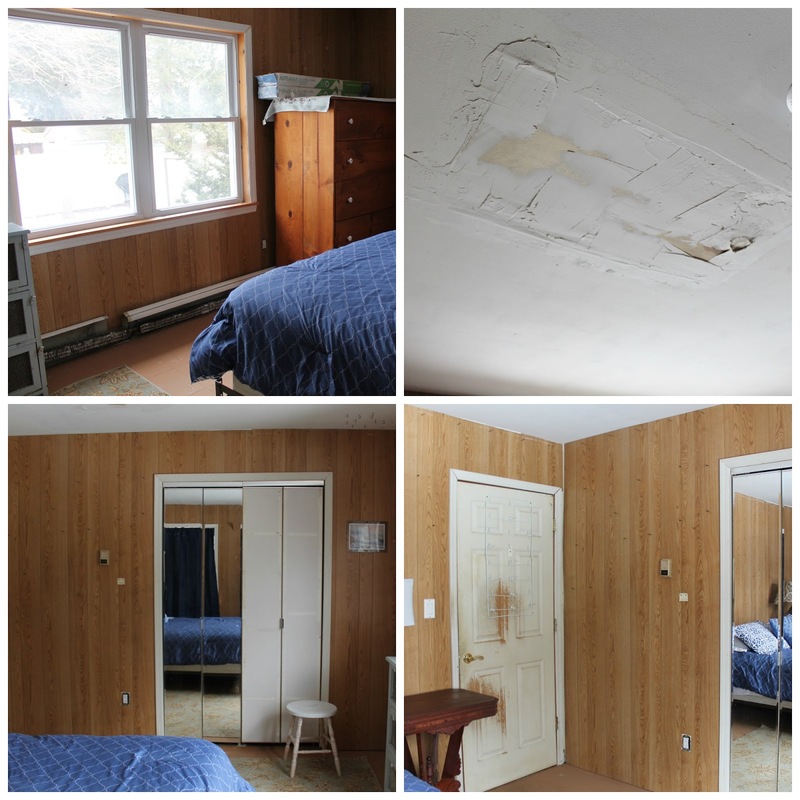 Preparing a room for a makeover feels like it takes forever. Everything is out of place and the room looks worse than when we started. This picture was here when we purchased the house. The quote is so inspirational! I want to share it with you for this challenge. I agree that things always look worse before they can get better. Our project is a disaster right now, haha. I really like the idea of painting over the paneling for more interest on the walls. Your selections are really pretty! And that quote is perfect! Thank you Julie for the visit! The quote will inspire me to finish this makeover! Love your plan! Beautiful colors! I hate doing prep work! You're so right that it always looks worse before it looks better. I'm so excited to see the walls painted. It's going to make such a huge difference in the room! Great selection of furniture and stuff. The combination of colors is mind-blowing. I think it this makeover will create a blast in the room. Looking forward to see how you will implement the plan. Best of luck!! Thank you for sharing this idea. 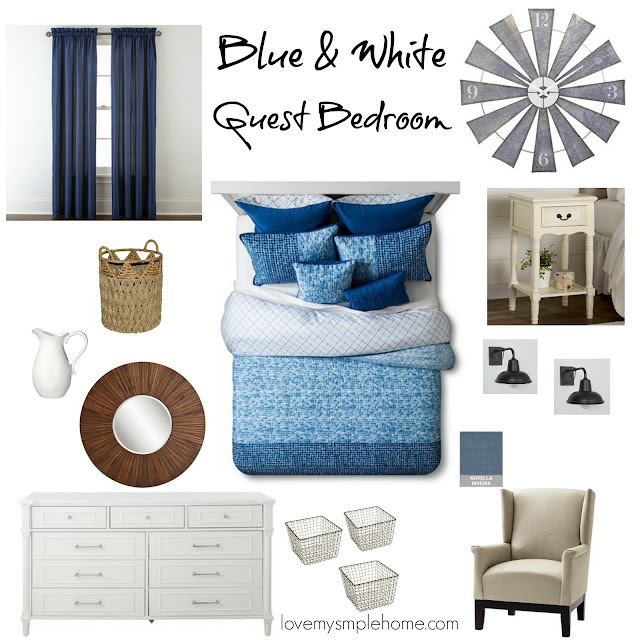 You give us an amazing idea how to makeover a guest bedroom. Never thought of this kind of idea can be applied in guest bedroom. I have also started makeover my guest bedroom and it's looking good quietly. Hopefully it will end as fabulous room just like you did. Keep sharing this kind of ideas.